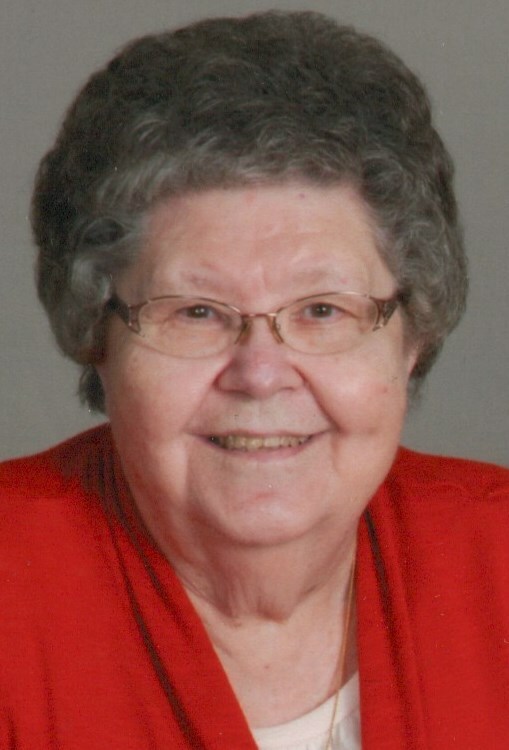 Age 92, of Studer Road, Versailles, Ohio, passed away of natural causes at her residence Thursday evening, March 14, 2019. She was born February 11, 1927, in Willowdell, Ohio, to the late Joseph and Anna (Mueller) Gehret. On August 21, 1948, at St. Nicholas Catholic Church in Osgood, Mildred married Virgil J. Bensman who preceded her in death on April 23, 2010. She is survived by eight of ten children: Shirley & Walter Broering of St. Henry, Jerome & Marilyn Bensman of Versailles, Irene & John Bruns of Maria Stein, Mary Jane & Lester Homan of New Bremen, John (dec.) & Marian Bensman of Russia, Michael Bensman (dec.), Steve & Deb Bensman of Versailles, Theresa & Philip Heitkamp of New Bremen, Marlene & Steven Puthoff of Versailles, Carl & Kathy Bensman of Versailles and daughter-in-law, Teresa & Bill Gariety of Wapakoneta; 35 grandchildren, 96 great-grandchildren and two great-great-grandchildren; seven siblings: Alfred and Rose Gehret of McCartyville, Paul and Bernice Gehret of North Star, Urban and Irene Gehret of Frenchtown, Emma Rita and Dennis Heitkamp of New Bremen, Edward and Mary Lee Gehret of Willowdell, Cyril Gehret of Osgood and Mary Ann and John Keuther of Egypt; sisters & brothers-in-law: Frances Gehret of Fort Loramie, Mary Ann and Louis Grieshop of Versailles, Eva Gehret of Willowdell, Madonna Gehret of Versailles, LeRoy & Rosemary Bensman of Coldwater, Roland Bensman of Versailles and Elizabeth Walterbusch of Maria Stein. She was preceded in death by one grandson, Bruce Bensman and four infant great-granddaughters; four siblings: Lawrence, Vernon, Joseph, and Anthony Gehret; sisters & brothers-in-law: Margie Gehret, Lester & Phyllis Bensman, Sharon Bensman, Ivo Walterbusch, Valinus "Slim" & Pat Bensman and Alvin & Joan Bensman. Mrs. Bensman was a member of St. Denis Catholic Church and had been active in the former Daughters of Izabella. She was a dedicated homemaker known as the cookie grandma. She also enjoyed sewing and knotting blankets. In addition to making blankets for ALL of her family, Mildred and the "Mission Sewing" ladies provided nearly six thousand home-made blankets to various local, state, national and world relief charities since 1980.